We’ve recently launched an exciting new website for walkers on the Wales Coast Path. The good-looking, highly illustrated ‘responsive’ website is designed to work on all sizes of screen: from mobiles and smart phones to tablets, laptops and desktop computers — and resizes itself to suit your preferred device. 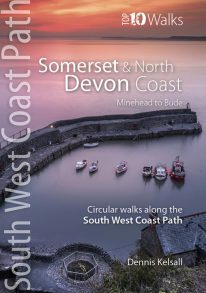 And because we publish the Official Guides to the Wales Coast Path, as well as the popular Top 10 Walks series of short circular walks along the Wales Coast Path, the content is both informative and authoritative. It’s also pretty much up to date. The website includes detailed information on all the main sections of the path, and interactive map, information on wildlife, a large gallery of stunning photos of the Wales Coast Path and a shop — where you can order books and guides to walks along the Welsh coast. The website is certainly worth a look.